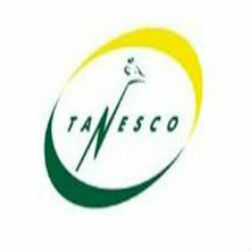 In an effort to meet the rising demands, officials from the Tanzania Electric Supply Company (TANESCO) have indicated plans to double the country’s power production by 2016 to reach 3,000 megawatts at a cost of approximately USD 1.21 billion. According to Decklan Mhaiki, deputy managing director for investments at TANESCO, the country’s large natural gas supplies will be used to address the growing energy demands, which are growing at a rate of 8% to 10% per year. “We are taking advantage of gas to be able to bring more affordable power in the short term, and gas plants are quick to build,” said Hon. Mhaiki in a recent interview with Reuters adding that plans are already in place for a gas-powered plant near the Dar es Salaam to begin producing 150 MW by the end of this year, he said. Natural gas discoveries in Tanzania currently stand at 46.7 trillion cubic feet and new discoveries off the country’s southern coast have offered opportunities to work towards an end to Tanzania’s energy shortages and increase the percentage of the population that is connected to the power grid from 24% to 30% by 2016.